The first new youtube video was uploaded last night, demonstrating pieces from the Golden Goddess Gift Set. I really want to film some more of these as I think this one turned out really well. However, we need YOUR help! Let us know which products you would like to us to demonstrate; perhaps you have Pure Pigment in ‘Involve’ and want some inspiration on how to use it, or maybe there is a particular Powder Blusher you have had your eye on and want to see it in action. Is there any kind of look you have wanted to achieve but are struggling with? Stuck in a rut and want to add more colour to a basic day time look? Or do you have a particular image in mind that you would like us to try and translate in to a make-up look? Maybe you would like to see a masterclass on effective contouring or the 1920s elongated brow. 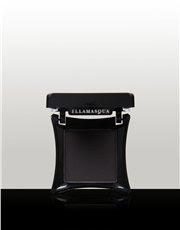 Let us know in the comments section on here, or email us at askanartist@illamasqua.com.